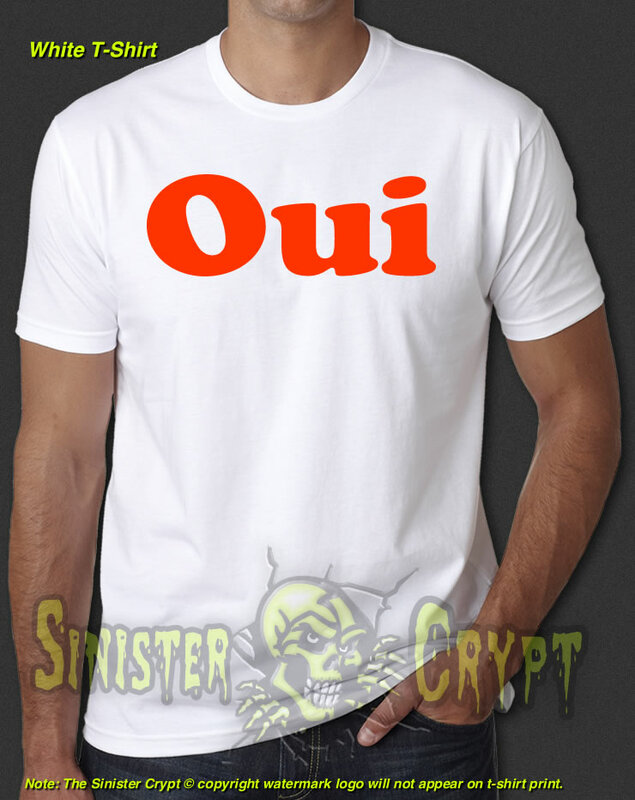 Oui t-shirt. Oui was a men's adult magazine published in the U.S.A and featured models, with full page pin-ups, centerfolds, interviews and cartoons. Oui ceased publication in 2007. 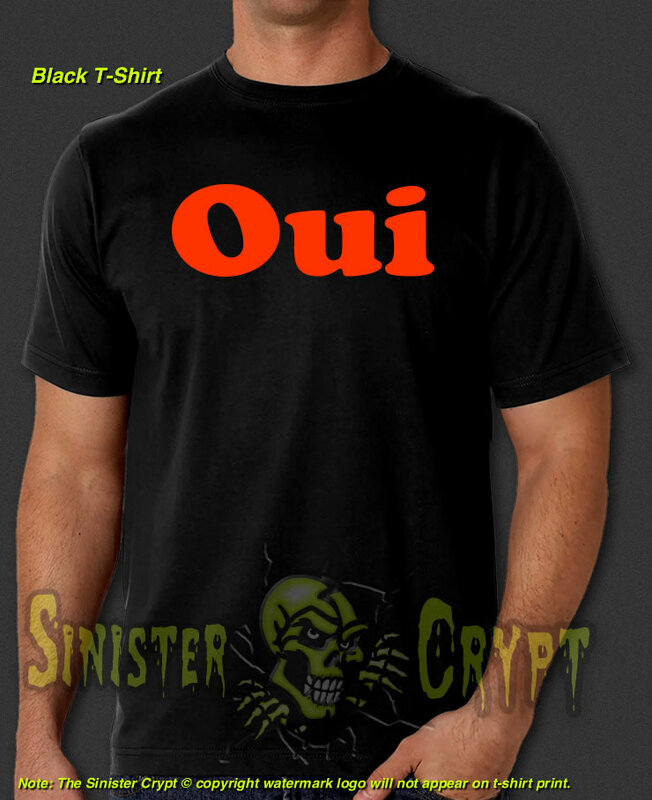 "Oui" is French for "Yes." Makes a great gift!